Academia. Sporting events. Grocery lines. The front lawn. These are the places, among countless, where racial aggressions happen. 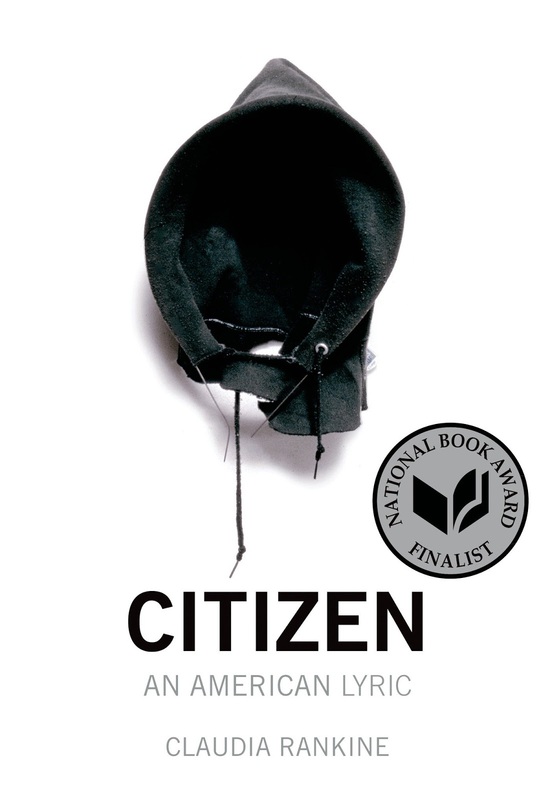 Claudia Rankine's Citizen: An American Lyric confronts these aggressions candidly in poetry, essays, scripts, snippets and vignettes. Moments that will jar and enlighten...render the reader uncomfortable, sorrowful, thankful. I'll just say, I couldn't read this book without mountains of inward contemplation. The idea from the Rumpus review that Rankine renders her readers both protagonist and antagonist works like a mirror putting you at the center of every moment. To see what you see when you look inside. I flipped back through my experiences to those moments when I might've been the aggressor. When I wish I'd thought more and spoken less. I also thought of womanhood and the sexist things people say or do because...because that's the closest I'll ever come. While I know I can't inhabit the experience of a black man or woman in America, this book is such a powerful examination...both analytical and emotional in the writing style, word choice, the variety of forms. The changing nature of it. I haven't read a more powerful, artful, frank book all year, and for that reason among many, I struggled with how I wanted to write about it. I can't give you a full indication of the experience because you have to dig into this writing for yourself, firsthand, and it's made even more powerful by listening to Rankine read. To learn more about Citizen, read The Socratic Salon's discussion. This is a wonderful review, Andi. I just finished Citizen over the weekend and am struggling over how to write about it. I think you really hit the nail on the head by quoting that Rumpus review... 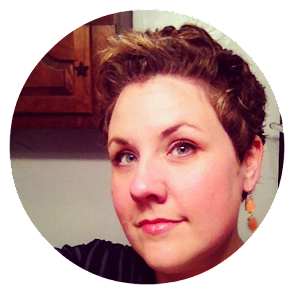 I bristled and ached as the protagonist and cringed when I realized the aggressor could have been me. Thank you, Shaina! It's such a powerful read. Would love to know more of your thoughts on it, so I'm looking forward to how you decide to write about it. I know my comment doesn't belong here but I have no idea where else to comment and I can't find your email. You already didn't let me post on your about page but I'll try again. I won one of the prizes in last 24 hour readathon but I still haven't received anything. I wonder what is up with that. Nobody has answered my comment on the deweys readathon site. I'd really like to know when I will be receiving my price and I think it would be polite to somebody to answer. Thank you :) Did you send it to bookbunnysburrow(at)gmail.com? because I haven't received anything or I have accidentally deleted the email, sorry! This one was totally worth it. I hope you love it as much as I did! I stumbled across Rankine while browsing a poetry site...I was actually looking for prose poetry examples for my students. I ended up getting caught up in Rankine's words, and ordered Citizen. It was so much more than I expected. It took me an uncharacteristically long time to read this book, just because there is so much to take in. I probably need to reread it. And I loved the way she used images with her poems. Thanks for posting this review. She's amazing. I really want to read more of her work, and truthfully I can't say that of poetry very often. After school I shut off to it, which is kind of a shame. I think I missed out. No images in the e-book, which is a drag. Definitely want to reread. YES! Such an important point that we are in danger of becoming desensitized, and this book is just so good with scope. From your doorstep to the subway to a national television audience. Just...wow. I am thinking about suggesting this book for our next book club read. Would it be good for a book club? Also, I love to hear authors read their own work! Makes me feel as though I'm getting more of what they are trying to convey because they know what needs to be inflected and what emotions are behind the words. Thanks for sharing. I definitely think it would be a good book club choice. It's a "quick read" but really beckons to go back in and revisit sections and mull over ideas. And I complete agree. Listening to poetry read aloud is such a different experience. Oh, this one sounds tough. I'm not certain I have the mental capacity right now to read something this heavy and introspective. However, I will be adding it to my wish list to see about reading it when things slow down. Eventually. Some day. Hopefully. It is tough, but so so so good. Good luck with it when you're in the right place! I think this would probably make a very good club read. It's the type of book that you have to discuss after reading, me thinks. YES! Definitely. So much to say. Yessss. The goodness of this book. I read Citizen earlier this year and just had a really hard time writing about it. Everything Rankine says is so true and interesting and infuriating -- it was overwhelming, and I never managed to get my thoughts into a coherent order for a post about it. I'm glad you were able to talk about it so well here. Such a good way to put it re: true, interesting, infuriating. I haven't heard much about this one and that makes me sad after reading your thoughtful review. This sounds like exactly the type of book we all need to be reading. Sounds like a powerful and incredibly personal read--one where everyone will get something their own out of it. I've been a bit put off by the fact that this is partialy poetry but your review makes me want to read it anyway. It spend like an important book to read.